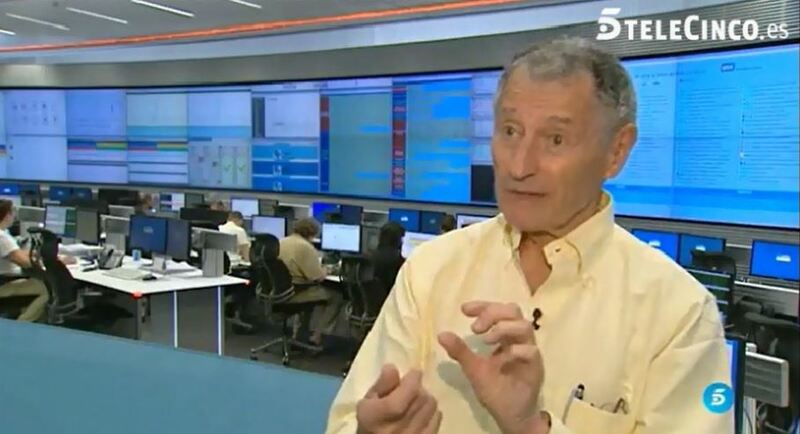 Leonard Kleinrock recently visited Madrid to receive the BBVA Foundation Frontiers of Knowledge Award, The American engineer received the award in the category of information and communications technology through their contribution to the development and expansion of the Internet. 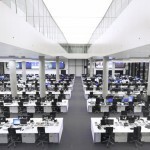 During his stay in Spain he had the opportunity to visit one of the control room designed by GESAB for BBVA, which represents one of the symbols of the management and control of information, where they monitor more than 44 million transactions daily. With 36 operators, GESAB developed the whole project for this control room, from initial distribution to execution, further including a 12×2 LED videowall.